Fantasy becomes reality with the floral pairing of white gerberas, chrysanthemums and lisianthus with the purples of limonium. 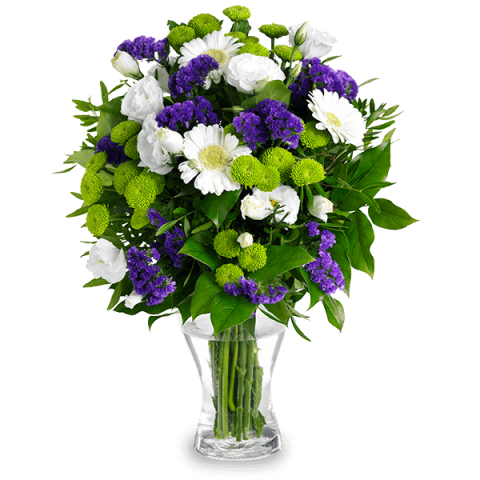 These colourful white and purple flowers are sure to delight and enchant on a special birthday or to say “congratulations” or “thank you”. Awesome. Easy to order. Delivery on time. Beautiful flowers just as pictured and right on time. Thank you very much. It was really nice surprise.